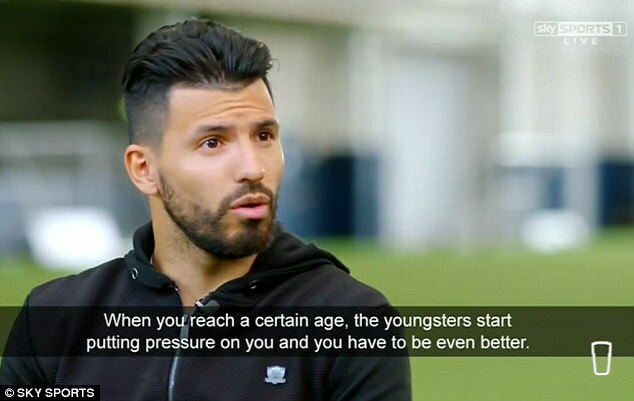 Sergio Aguero has admitted he will have to work harder to keep his place at Manchester City after Gabriel Jesus’ return to fitness and refused to commit his future to the club beyond the end of the season. The Argentine found himself on the bench at the beginning of the year after Jesus arrived in a £27m transfer, but was handed a reprieve after the Brazilian sensation suffered a broken metatarsal. 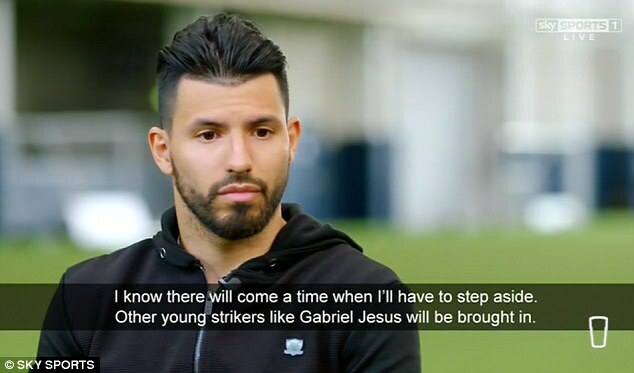 But Jesus, who was named on the bench for Thursday’s Manchester derby, is close to a full recovery and Aguero admits there will soon be a time where he will have to step aside for youngsters like him. Speaking to Sky Sports, he said: ‘I know there will come a time when I’ll have to step aside. 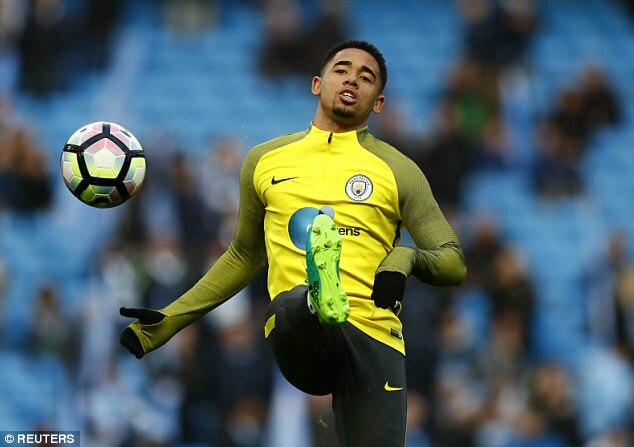 Other young strikers like Gabriel Jesus will be brought in. Of course he’s a very good young player which is why he’s at City. 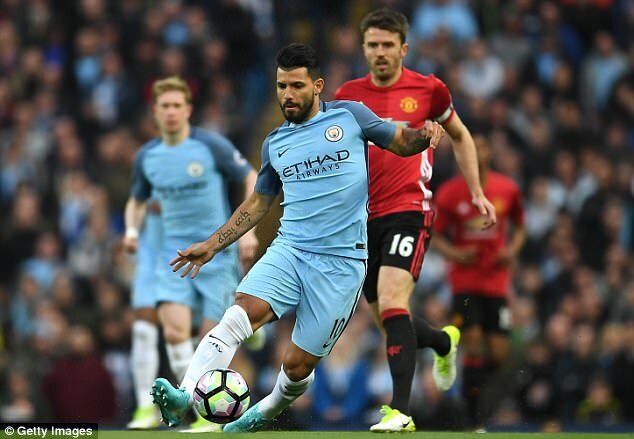 Aguero was used as a substitute for three successive matches in February to make way for Jesus, leading to speculation that he will look to move away in the summer. But while the 28-year-old said he was only focused on doing his best until the end of the current season, he did say that he would respect Guardiola’s decision if he found himself back amongst the substitutes.